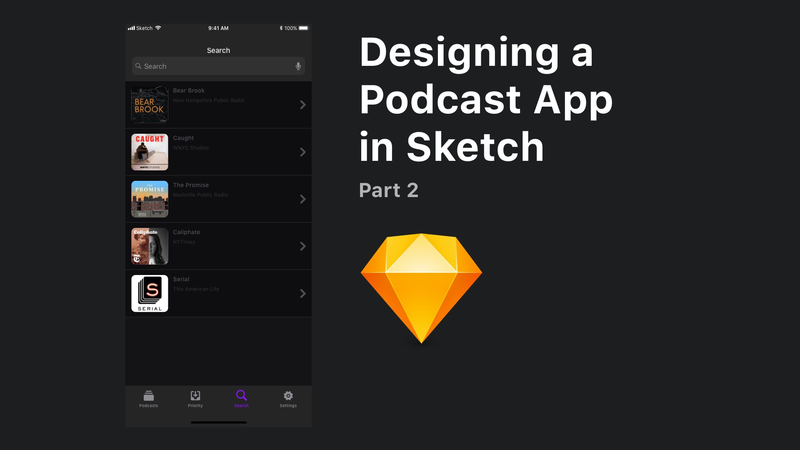 We continue our design of a Podcast app in Sketch. This time we focus on designing a Search screen, complete with table view cells and keyboards. We'll see how to use masks to round the corners of an image and easily duplicate and offset content.